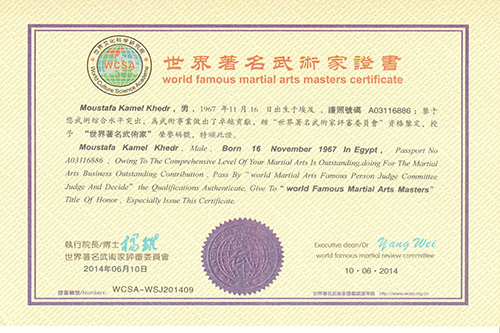 Moustafa Kamel Khedr was born last November 1967 in Egypt. 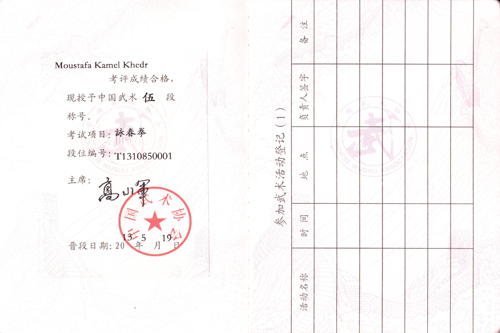 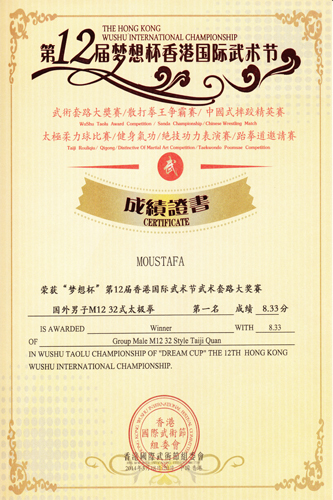 Fifth (5th) Level Duan Wei of Chinese Wushu Association. 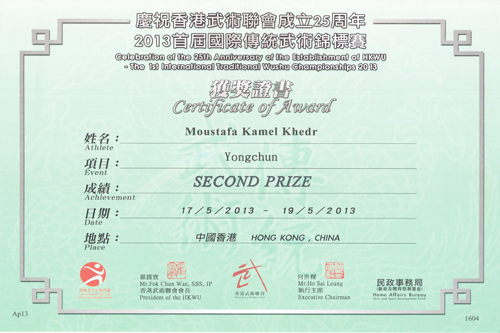 International Champion in various styles of Wushu Events. 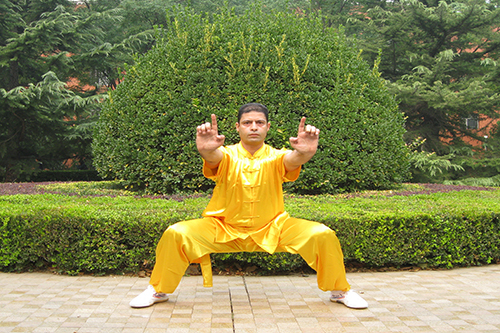 In 1990, he started learning Wushu. 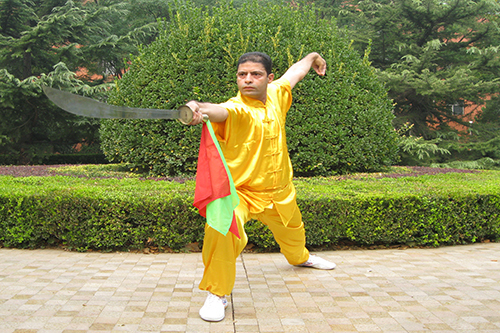 After many years of tough training and intensive study of Wushu, He went to China in 2010 and 2011 and participated in an intensive Training courses in Beijing Sport University, where he trained under Famous masters like Li Yuanjun, Huang Kanghui in Chang Quan and Taiji Quan. Recently, Master Moustafa performed well at several Tournaments and won various international honors and awards in The Wushu Field. In 2013, he received silver medal in Yongchun Quan in the First (1st) Hong Kong Traditional Wushu International Championship. 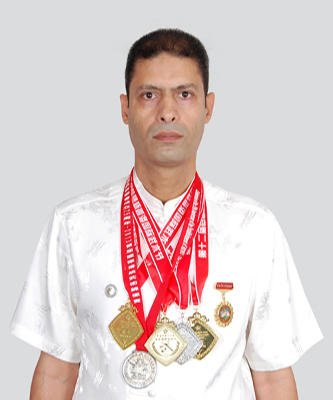 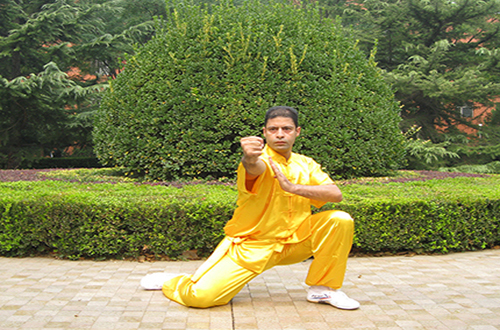 In 2014, he received three gold medals in Taiji Quan, Traditional Nan Quan, Yongchun Quan, and silver medal in Shaolin Quan in the 12th Hong Kong Wushu International Championship. 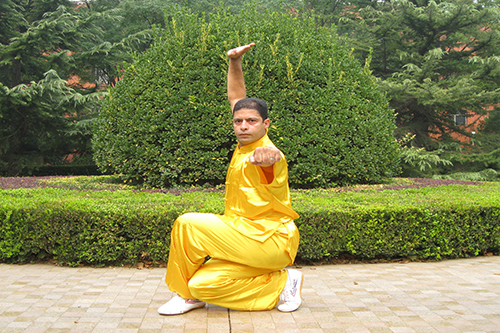 Aside from his extraordinary performance in different international Wushu events, World Culture Science Academe chose him as a “World Famous Martial Arts Master” in 2014. 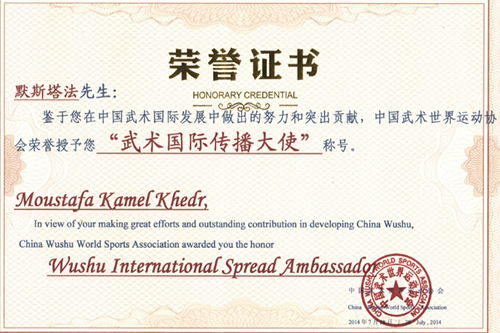 At the same year, China Wushu World Sports Association awarded him the honor “China Wushu International Ambassador”. 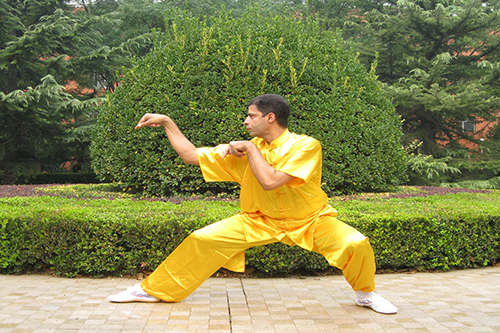 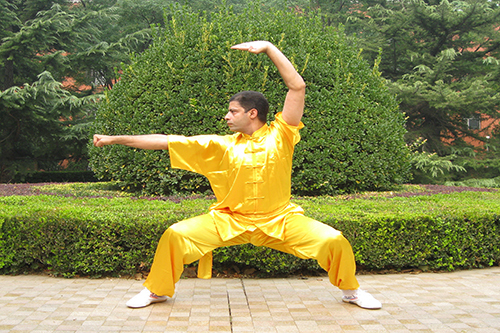 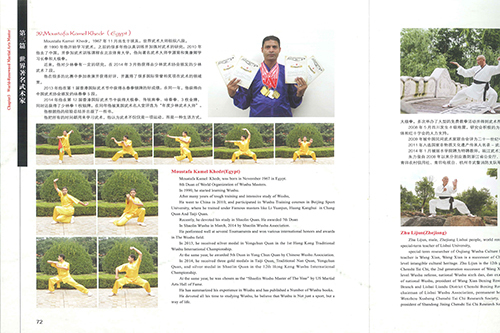 He has summarized his experience in Wushu and has published a Number of Wushu books. 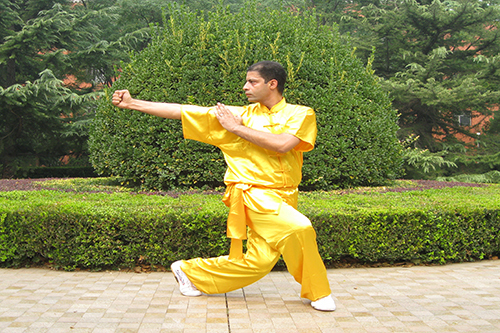 He devoted all his time in studying Wushu, he believe that Wushu is not just a sport, but also a way of life.